Humans are not the only ones at risk from Ebola: chimps and gorillas are also susceptible to the deadly virus, which is currently wreaking havoc in West Africa. It’s turning out to be the worst outbreak of this virus in history. 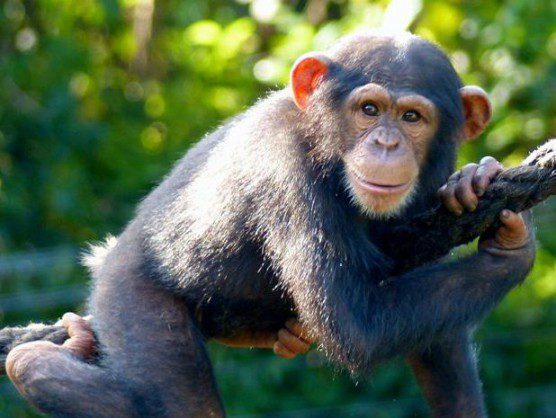 Chimpanzees like this rescued orphan at the Tacugama sanctuary are also at risk from the Ebola virus. 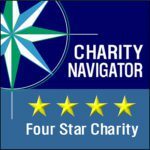 Specify your donation is for Tacugama and we’ll match your contribution, dollar for dollar! Sierra Leone is in now in a state of emergency, as we heard earlier this week from Tacugama’s founder, Bala Amarasekaran. Entire swaths of the country have been placed under quarantine as the health care infrastructure collapses. Nearly 1,000 people have died in this outbreak and 1,700 hundred have been sickened. So far. 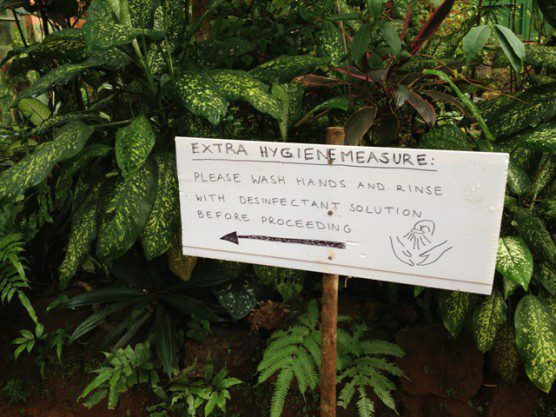 The Tacugama Chimpanzee Sanctuary is taking precautions to prevent the spread of disease organisms. 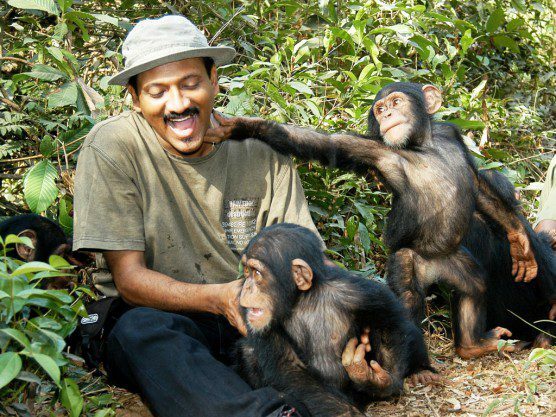 Bala Amarasekaran, founder of Tacugama, has devoted his life to rescuing chimp orphans in Sierra Leone—clearly a job he loves. Tacugama is currently home to almost 100 chimpanzees, all of them orphans rescued by Bala from illegal trafficking. The little ones have already experienced the trauma of witnessing their families being killed for the horrible bushmeat trade.  IPPL has supported the essential work of this sanctuary for well over a decade—almost since it was founded in 1995—and we are determined to help them get through this crisis. In the next few days, we will be sending out an e-mail alert with more information(you can join our e-list if you haven’t already; go to the form in the upper left corner of this page). But you don’t have to wait: please donate today (we’ll match it!) 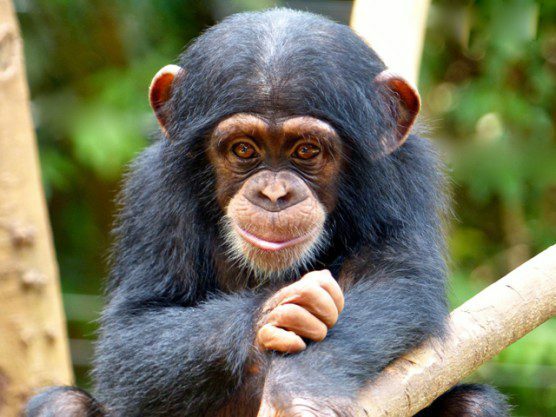 to help these chimp orphans survive. Although our hearts go out to the many unfortunate human victims of Ebola, we are also concerned for our chimp friends (like this youngster at Tacugama) and their allies who are in the path of the virus.